1. 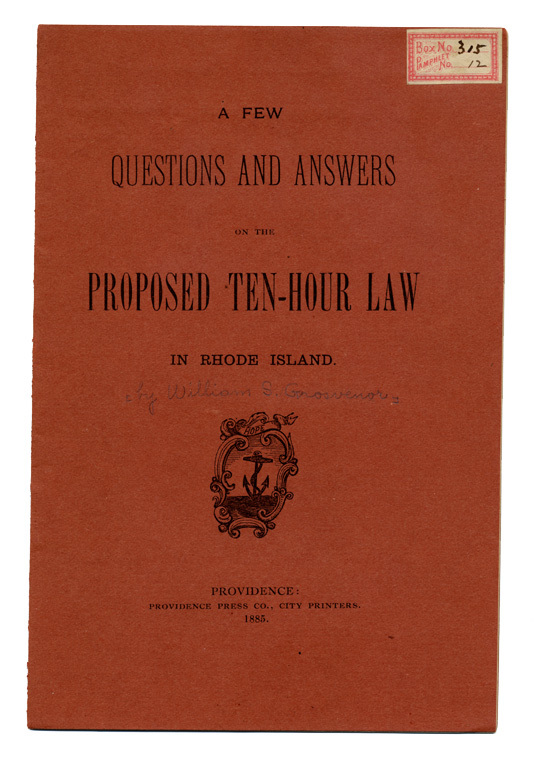 "A Few Questions about the Proposed Ten-Hour Law in Rhode Island"
In 1874, Massachusetts passed a law putting a ten-hour limit on the workday of women and minors employed in the textile industry. 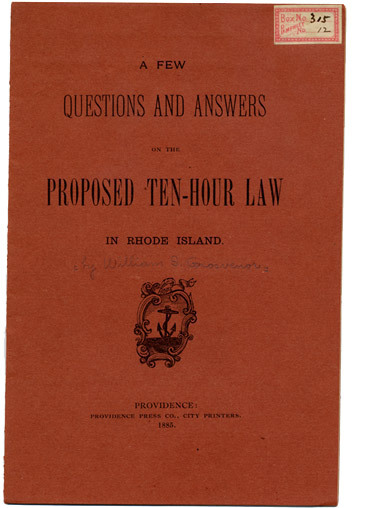 William Grosvenor, the author of this pamphlet, was the owner of several mills and argues against the passage of such a law in Rhode Island.